I think the most surprising thing for me about dressing for pregnancy has been how many non-maternity items still fit! 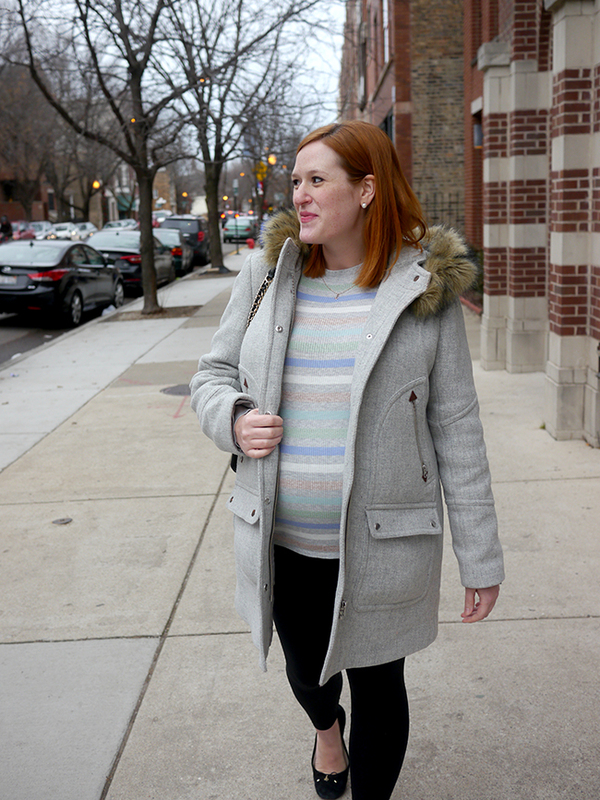 I packed away a ton of stuff as soon as my bump really showed up, but it turns out some of my favorite winter sweaters still fit just fine. 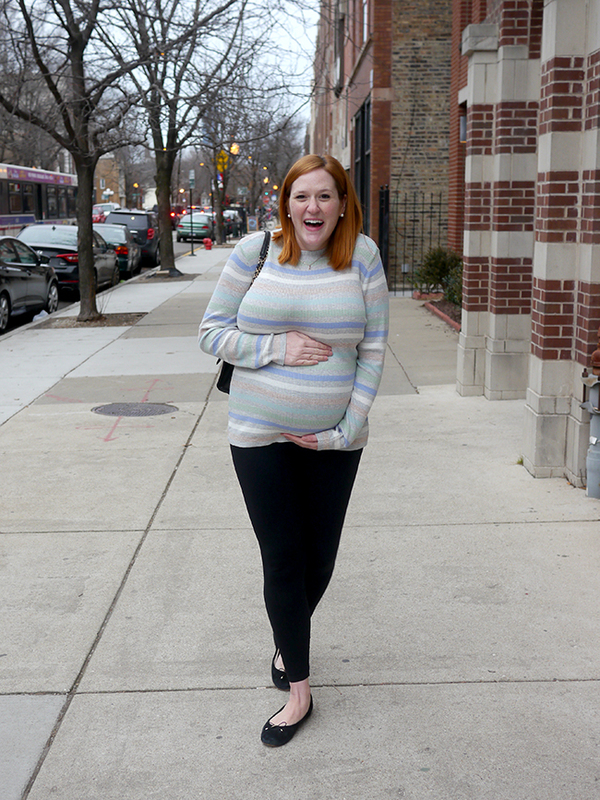 In fact, until a couple weeks ago in some of my oversized sweaters I could still get away with not looking pregnant! 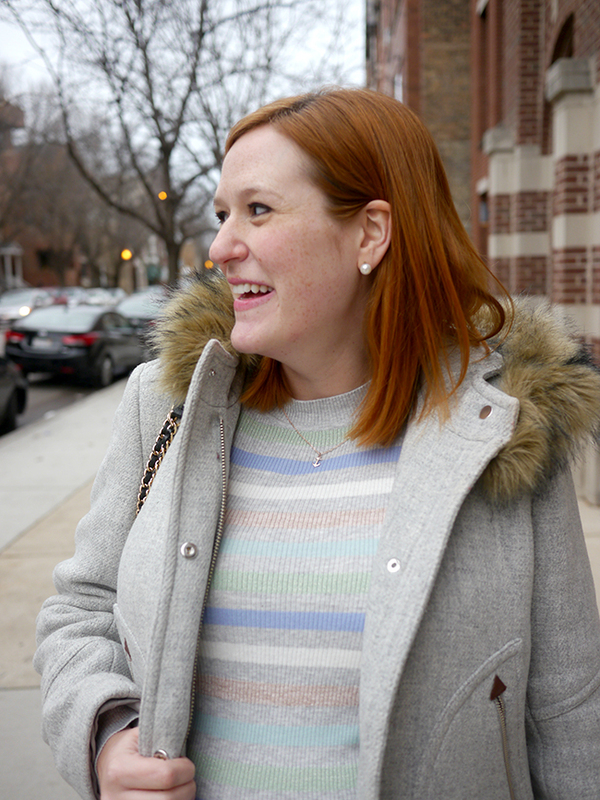 Last week I shared some try-ons from Nordstrom, and this sweater was one that had to come home with me! The fit works great with the bump, but will look super cute when I'm not pregnant too. And I love the pretty pastel stripes. They remind me of something I would have bought from Gap in 2001 but in the best possible way. Fun striped sweaters had a big moment this fall but I never found one that I totally loved - probably because I'm not a huge fan of fall mustards and browns. In winter pastels though? I'm definitely a fan! 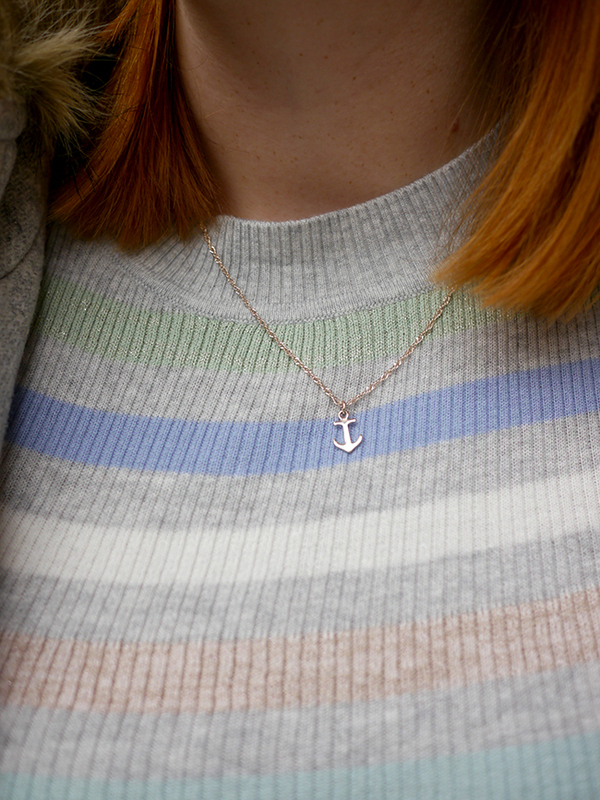 The pink and green stripes on this sweater actually have a really pretty subtle shimmer to them, which makes them not show up as well in photos. But yes, there definitely is a pink stripe in there! 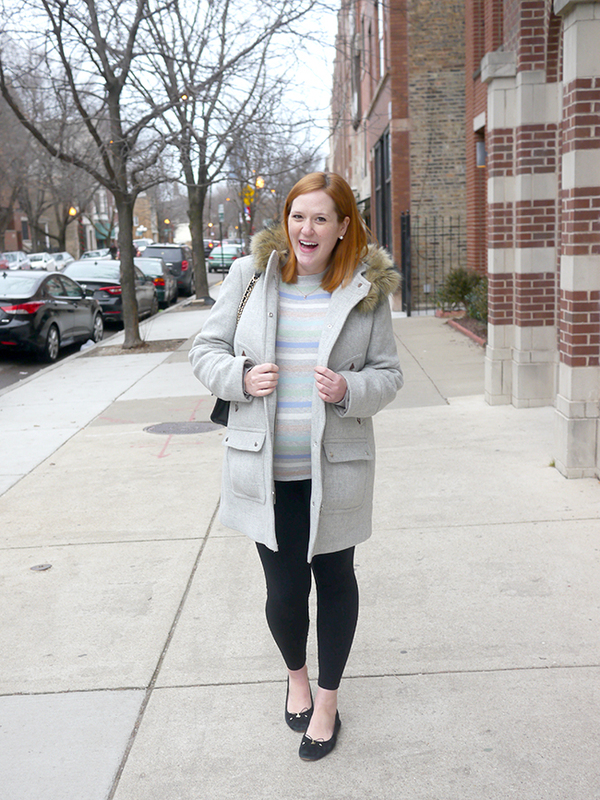 I've been wearing maternity leggings basically every day for the past few months - although, sidebar, I just discovered that my maternity jeans are slowly getting less annoying as the bump gets bigger. I used to have to pull them up all the time, but now that they really have a bump to hold onto they're staying up all on their own ;) But anyway, if I wasn't stuck in maternity clothes, I would definitely have worn this with white jeans and blush flats instead. I'm always drawn to white jeans this time of year, they feel so fresh with all of the pretty pastels in stores and give a little nod to spring that will be coming soon. Or, if you live in Chicago, in about five months. Sigh.